A sign is posted in front of a Home Depot store on August 14, 2018 in El Cerrito, California. A surprising return for the top appliance sale of last year. CLICK HERE for the Home Depot appliance sale that matches Black Friday pricing. With the algorithm I developed to chart retail price drops that seems to be correct almost 98 percent of the time, you'd think I could have seen this sale coming. Even I was caught off guard and I'm very pleased to see discounts at Home Depot that are even more steep than I anticipated. The single best time of the year to buy an appliance is the week leading up to Black Friday, followed by Labor Day, followed by 4th of July and Columbus Day. The first couple of week in January - not so much! For whatever reason — I'm speculating Home Depot has some left over stock from the holiday season or simply wants to attract shoppers before this long holiday weekend — the deals at Home Depot today are on par with Black Friday. 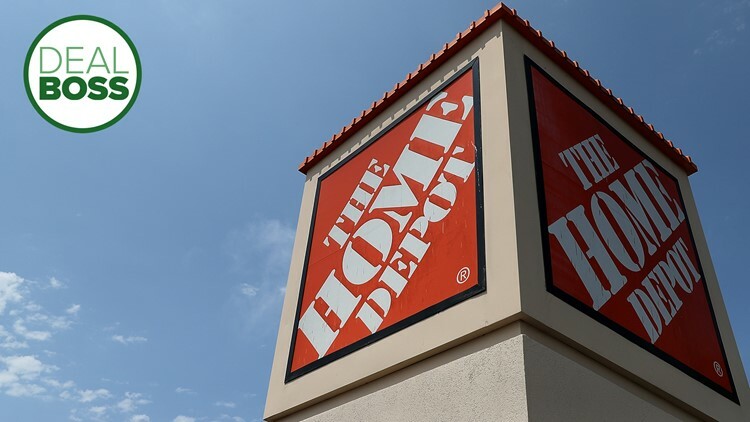 The Home Depot up to 30 percent off appliance sale which began on Jan. 3 is not nearly as strong as it is right now with substantial savings on Samsung, LG, Whirlpool and many other top brands. If you're in the market for a fridge/freezer, washer, dryer, dishwasher, oven, stove or range, there are countless options - including smart fridges! You can actually save $812 on this Samsung Smart fridge right now as an example from the higher end of the appliance and price spectrum. This sale runs until Jan. 23; I highly recommend you look at the options with free delivery if you need to upgrade or replace an appliance in your home. Keep in mind old appliances don't offer the same energy savings tied to the new offerings so an appliance swap could bring you double the savings over time. CLICK HERE for this Home Depot appliance sale that matches Black Friday pricing.